Pinball machines typically measure six feet high, five feet long and two and a half feet wide. With these enormous features, storing them inside your home can take up a significant amount of space, which can be bothering – unless everyone else will consider it as a memento worthy to be displayed inside your home. However, there is more to pinball machines than being just a house display. In fact, you can make a profit out of them and keep them from being stowed away and be left to rust. Fancy some wizard investment returns? 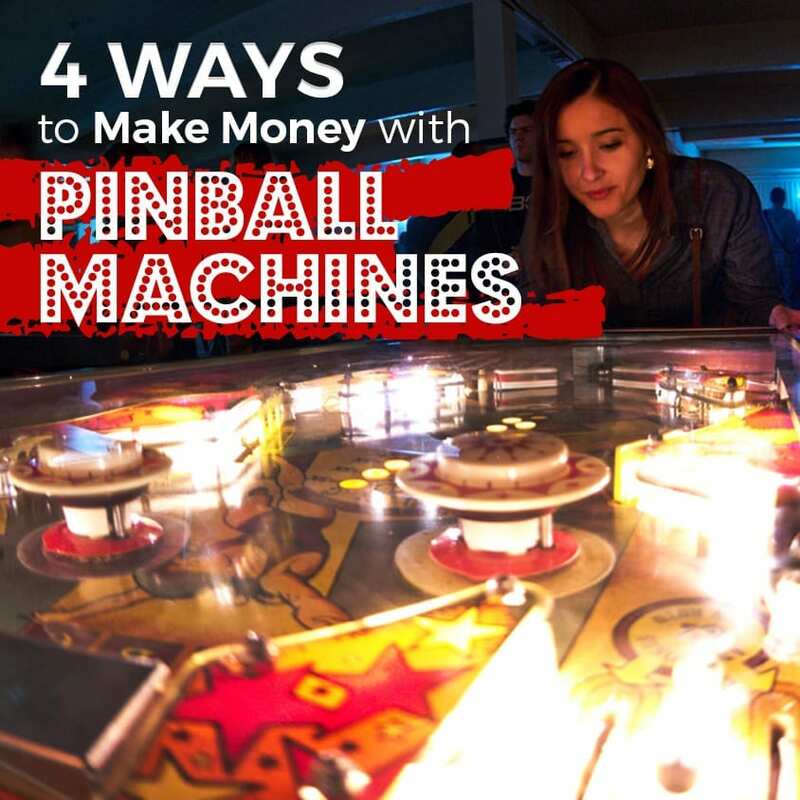 Discover some 4 ways to make money with pinball machines. One of the great ways to put a pinball machine to good use is by placing them out on a route and splitting the profit with the owner of the location. To make the most out of your investment, you can buy a used pinball machine, repair and get it working. You can also hire a pinball mechanic to check on the machine and do collections every once in a while. Although this may not be enough to pay rent and bills, it’s still worth knowing that you’re generating some extra money to put on your savings. Good pinball machines are not going down in value. In fact, their value is expected to swell as the machines are no longer reproduced. If what you have at home is a collectible item, you can earn a considerable amount by selling your machine to a collector. Did You Know? Pinball machines, particularly those produced in the 80s, have soared as much as tenfold in value over the years. For this reason, pinball machines can qualify as valuable collector’s items which in return can make a good profit if you venture in the buy and sell trade. Another revenue channel is pinball machine repairs. Similar to classic cars, pinball machines need to be well looked after. They require regular maintenance to keep it running smoothly and maintain its resale value. Otherwise, they may be prone to breaking due to wear and tear. While pinball owners can run simple repairs and checks, pinball machines may contain lethal voltage that it is rather wise for the repair to be left to a mechanic. These reasons could play to your advantage and probably earn you more than being an operator. Your pinball playing can make you money. Unlike other arcade games, electronic pinball machines base your odds of winning on how well you play. Being a highly skilled pinball player, you can fire silver balls and flip and bounce your way to top scores on a profitable basis whether by playing in a tournament or by making a bet. Another way to do that is by playing Vegas 2047, an electronic pinball machine by NanoTech. It allows players to choose their level of luck and skill level that could fit in a possible payout. Did you find this article helpful? Never miss a post by following our blog.